Many people view a drive on rural roads to be a time when stressful thoughts of everyday life can drift away and leave tranquility behind. Whether it’s a weekend jaunt to one of Florida’s small towns, a visit to friends, or just taking the opportunity to cruise along and enjoy the scenery, the appeal of rural roads is clear. However, rural roads are not nearly as peaceful as they seem. According to the U.S. Census Bureau, while rural areas cover 97 percent of the nation’s land area, these areas contain only 19.3 percent of the population. 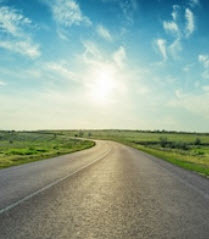 However, reports published by the National Highway and Safety Administration indicate that half of all the car accidents that happened in America in 2016 occurred in these rural areas. And while Florida’s rate of 44 percent of the car accidents that happened that year occurring in rural areas is slightly below the national average, this still accounts for a substantial amount of the accidents that happen here. It is clear that rural roads are often perceived by drivers to be safer than they are. Why Do So Many Accidents Happen in Rural Areas? Not abiding by speed limits. The driver being unfamiliar with the road. Rural roads being poorly maintained. It may seem like there are no police. Many drivers believe they do not need to wear seat belts. Wild animals and/or livestock have wandered onto the road. What Should I Do if I am Injured in Accident on a Rural Road? There are important differences between being injured in a car accident that happens in the city and one that happens on rural roads. You should understand that when a wreck occurs on a country road, it usually takes significantly longer for emergency assistance to arrive at the accident scene than it would if the accident happened in a city. Further, after being reached by emergency personnel, it typically takes longer to reach a hospital. And even when you reach one, there is a good chance that the hospital will not staff will not have the proper training to be able to treat serious injuries. If you are injured in a vehicle crash on one of Florida’s rural roads due to another driver’s negligence, please call us. While we understand that car accidents are one of the most common personal injury claims, we also understand that they can be one of the most devastating for both you and your family. The Florida auto accident attorneys at Leifer Law Firm have helped many injured victims in situations like yours during their 25 years of combined experience. Contact us today for help and we can begin helping you hold the responsible parties accountable.